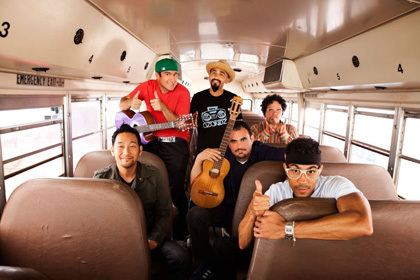 It’s going to be a night filled with music and comedy all under one roof as Ozomatli plays Club Nokia on Saturday, December 15, 2012! LA culture-mashers, Ozomatli has been together for 15 years and have been providing fans tons of urban Latino music fused with hip-hop, rock and more! Comedians from Gabriel Iglesias’ Stand-Up Revolution will be providing nothing but laughs, including Edwin San Juan, Tony Baker & Nick Guerra, while Subway Fresh Artist Romeo Testa and Buyepongo get things started and warmed up for Ozomatli. Tickets are $23.75-$40.75 (advanced) and $28-$40.75 (day of the show and all prices not including any fees). The show is all is all ages and doors open at 6:30 PM, with all the fun starting at 8 PM. Enter the contest below for a chance to win a pair of tickets, courtesy of our friends at the Goldenvoice. First make sure you’re following Grimy Goods on Twitter here and/or “like” our Facebook page here. Next, email ggcontests@gmail.com with your full name for guest list and a clever reason why you want a pair of tickets to Ozomatli at Club Nokia! When you’re done with your email, send us a Tweet so we know you entered the contest or you can post on our Facebook wall. We’ll select a winner that has done all of the above mentioned. Winners will be announced via email, Facebook and Twitter on Thursday, Dec 13. Winners will have until 10am Friday, Dec 14 to reply back to our email and confirm their win. 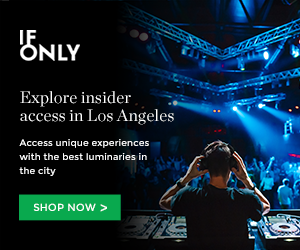 For more cool shows coming up at Club Nokia, click here. To enter other Grimy Goods contests, click here. This entry was posted in Giveaways and tagged Buyepongo, club nokia, concerts, Edwin San Juan, Giveaways, Nick Guerra, ozomatli, Romeo Testa, Tony Baker on December 10, 2012 by Sandra Burciaga Olinger.